While recently doing research on the First Aero Squadron in her old home town in Mexico, Casas Grandes, which also happens to be the 1st foreign Air Base the United States ever established, Alma Villezcas (at left), FASF Treasurer, discovered a long lost archival photo of one of the FAS’s pilots, Lt. Edgar S. Gorrell, photographed as he was taking off from the Casas Grandes Air Base in 1916. 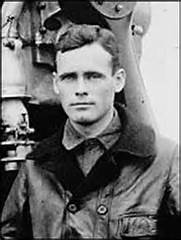 Lt. Gorrell was among the first group of 11 First Aero Squadron pilots to arrive in Columbus, NM, when they joined the Punitive Expedition into Mexico. Those airmen were: 1) Captain Ben Foulois, CO of the Squadron; 2) Captain Townsend F. Dodd; 3) Lt. Edgar S. Gorrell; 4) Lt. Joseph F. Carberry; 5) Lt. Thomas S. Bowen; 6) Lt. Carleton G. Chapman; 7) Lt. Herbert A. Dargue; 8) Lt. Walter G. Kilner; 9) Lt. Ira A. Rader; 10) Lt. Ralph Royce, and 11) Lt. Robert H. Willis. West Point Cadet Capt. 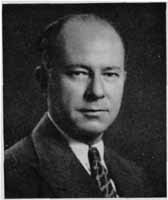 Edgar S. Gorrell. Gorrell, (at left) graduated from the West Point in 1912, and volunteered to become an aviator two years later in 1914. He became a certified Army Pilot in 1915 after training at San Diego’s North Island Army Air Service Facility (North Island exists today, but has long been a U.S. Navy facility. Gorrell’s only flying assignment was with the First Aero Squadron, where he flew many missions out of Columbus. However, he continued to serve in the Army for a total of 8 years, quickly rising to the rank of full Colonel by the age of only 27, which happened during WWI. Gorrell (at right as pilot) left the Army in 1920 to become and executive in the automotive industry, later becoming an investment specialist where he financed mass construction of private homes in California just prior the the Great Depression. For the last 9 years of his life Gorrell (at left as a civilian) was the first President of the Air Transport Association of America (“ATA“), a trade association dedicated to airline safety and the economic growth of the industry. That trade organization he established exists today, but under the new name of “Airlines for America.” Gorrell was an articulate critic of the poor equipment and lack of support from Washington for the fledgling Army air arm for which he flew while stationed in Columbus. While with the First Aero Squadron, in the capacity as both its Adjutant and Supply Officer, he compiled a data bank of factual information about his Squadron, thereby also becoming its very first (unofficial) Historian as well as an outspoken advocate for his Squadron’s – and the Army’s – fledgling aviation interests back in Washington DC’s Army Headquarters. His work helped him develop exceptional technical skills with the result that he likely knew more about the actual Jenny construction and its proper maintenance than any of the Squadron’s other pilots. During his some 6 months of active duty out of Columbus with the First Aero, then Lt. Gorrell experienced one of the most hair raising experiences any aviation unit up to that time had ever experienced, including the first organized night flight in the history of the Army, and an emergency night landing in the desert that was succeeded by days and nights of wandering afoot until he found his way out by ingenious use of a revolver, silver dollars, and West Point Spanish, all taken out on a dubious Mexican campesino he chanced to encounter during his wanderings. In those days the rickety wooden and cloth covered “Jenny” machines that passed for airplanes frequently could not gain enough altitude to fly over Mexican hills, let alone higher mountains, so had to skirt around them, and it was discovered to be anything but safe to fly after the heat of the day had stirred air into strong turbulence with ubiquitous convection currents. 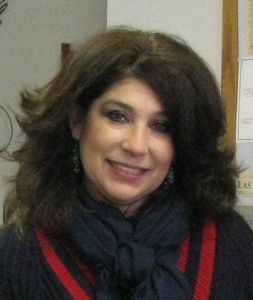 Gorrell arrived in Washington from M.I.T. on the evening of the day war was declared against Germany and was promptly was plunged into the job of helping plan America’s aviation war program in the Office of the Chief Signal Officer (The Signal Corps housed all of Army Aviation Operations). And, it was while at that post, that young Gorrell actually worked out the request for the original appropriation for World War I military aviation plans — a sum of approximately $600,000,000 – which, coincidentally, came to within a few million dollars of what the net cost of our aviation program finally proved to be. Unfortunately the large sheet of wrapping paper that Gorrell spread out on the floor of his office and on which he made the complex calculations for what was said to be the largest single appropriation for any purpose in our country’s history up to that time, was never archived nor otherwise preserved. At this time in his brief Army career, then Captain Gorrell soon departed for Europe. In June, 1917, he was designated as one of the two Army officers to serve on the Bolling Mission for the purpose of visiting the Allied Countries to determine what aviation material should be built in this country and what should be bought in Europe for the American Expeditionary Forces (“A.E.F.”). Gorrell’s mission sailed on June 17, 1917, scarcely more than a week after General Pershing had landed in Liverpool, England. After a whirlwind month of work in England, France, and Italy, the Mission completed its investigations in which now Captain Gorrell took a leading part. He was then designated by General Pershing as Chief Engineer Officer of the Air Service, A.E.F., and during the months of August and September, virtually unaided, he handled the entire engineering work, including the purchase of some $80,000,000 of nearly every conceivable item that an air force of those days might need. In amused recollection some of his friends have commented that at the end of this hectic period an entire boat load of people landed in France to take on the jobs that the then young Captain Gorrell had been holding down by himself – all alone. From the end of November, 1917, until his twenty-seventh birthday in February, 1918, he was Assistant Chief of Stall of the Air Service, A.E.F., and was then transferred to the Operations Section of the General Staff, A.E.F., handling all aerial strategy and the coordination of the entire U.S. Army air warfare with the ground forces. He was finally made Chief of Staff of the Air Service, A.E.F., on October 28, 1918, with the rank of full Colonel. He was our Army’s youngest “full bird” Colonel, not yet even twenty-eight years old. One of his most notable contributions to the development of military aviation was Colonel Gorrell’s formulation of the plan for the strategic air bombardment of Germany in WWI. On the day of the Armistice for WWI, Gorrell ordered the compilation of a complete history of the Air Service, A.E.F. He did so with a very definite aim: to pass on to the future the materials for building on the past. One typed copy of that history, called the “Final Report of the Chief of the Air Service, A.E.F.”, in some sixty volumes, still remains to this day inside the Defense Department’s Archival vaults. With the convening of the Peace Conference after the WWI Armistice, Colonel Gorrell was made one of President Wilson’s Aviation Advisers, and he was a member of the American delegation at the writing of the International Convention on Aerial Navigation which, though never formally ratified by the United States, has constituted the basis for the international law of aviation as it stands to this day. Colonel Gorrell was returned to Washington in July of 1919 where he was soon transferred from the Air Service to the Operations Section of the Army General Staff. He remained there until resigning from the Army in March, 1920. In September, 1925, he resigned as Vice President from his first civilian employer, Nordyke and Marmon Automobile Manufacturing Company to become Vice President and Director of the famous Stutz Motor Car Company. In 1929 he was elected President of the Company and later was also made Chairman of its Board. He continued with Stutz until August, 1935. In 1921 Gorrell married Miss Ruth Maurice of New York City whose enthusiasm for aviation became scarcely less than his own. His enthusiasm was never dulled during his automobile days. He was an inveterate airline passenger even at a time when a seat was a mail bag. He was one of the first American business men to sense the potential market which international air transportation would make available. By putting salesmen on the international airlines he increased his sales of motor cars abroad during the worst days of depression. By 1935 Gorrell was again searching for a new world to conquer, and he became fascinated by the prospects of mass construction of houses. He resigned from Stutz and formed his own corporation in Los Angeles to go into the housing field. But he had hardly taken this step when a call came that returned him to aviation at a critical time in his country’s history. 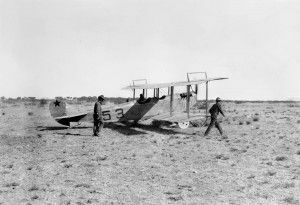 In 1934, after his old First Aero Squadron mentor, now the Army Air Service’s Commanding General, Benny Foulois, had persuaded President Roosevelt to let the Army Air Corps carry the U.S. Mail, this new task was in serious trouble. 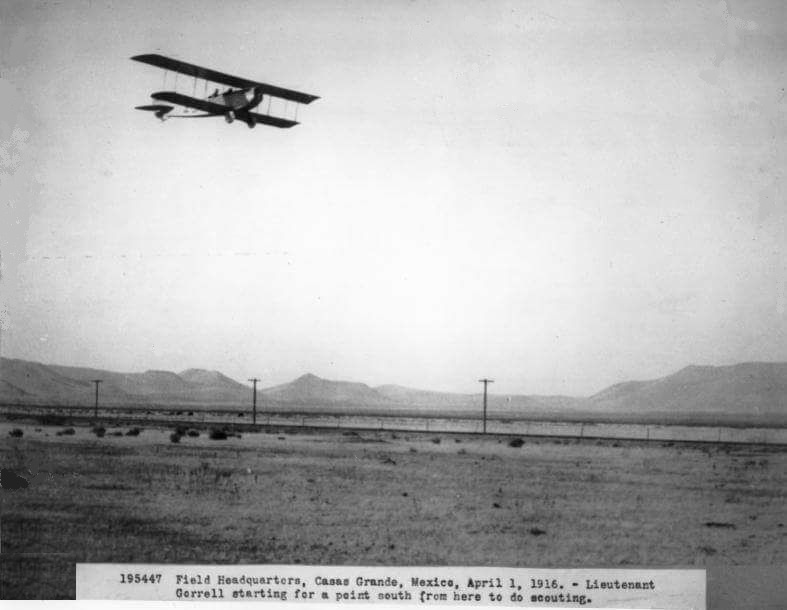 The Air Corps had been put to a severe test flying the mail, if even on only a temporary basis (a corruption scandal involving Airline handling of Air Mail had induced President Roosevelt to turn all Air Mail over to the Army Air Service). Unfortunately, however, it turned out that General Foulois had bitten off too large a responsibility for his ill-equipped Army Air Service, which was all too quickly proved itself to be not properly trained for flying, as were the Airlines, in all sort of inclement weather. The result was that many young Army aviators were crashing and being killed during night or in bad weather flights. Neither their equipment nor their training had been adequate for the task or flying under such difficult circumstances. Our Air Service was unfortunately only capable of flying in clear daylight weather. As a direct result of this unfortunate development with the Army Air Corps, a special board was formed to study the Air Service and recommend improvement. It was known as the Baker Board after its chairman, Newton D. Baker. Colonel Gorrell was on the Board and quickly became one of its most active members. This Board, among many vital accomplishments, did much to stimulate modernization of U.S. military aviation and managed to make more specific some vague conceptions concerning the importance to the security of civil aviation facilities in case of another war. The airline industry, after Roosevelt cancelled their air mail contracts in early 1934, had undergone a drastic shake-up and emerged in the latter part of 1935 with many new faces and countless new pressing problems. Without the lucrative old Air Mail subsidies, the Airlines were rapidly going into the red. Its members finally decided to form the Air Transport Association (“ATA”) and Colonel Gorrell was invited to be its first President. He dropped his California housing venture and assumed his new role in January, 1936, a role he was destined to play until his death. His tenure as President of the ATA was a tumultuous period, but Gorrell managed to save the day – and thus the American Airline Industry – which, as did his old military aviation profession, went on to become the world leaders they remain to this day. This entry was posted in HOT NEWS! on September 21, 2016 by FASFRIC.